The latest mental improvement secret is revealed: Dr Joe Vitale's Ho'oponopono certification course! You can read this review and find out all about it for yourself! all in an easy-to-follow, professionally devised certification course, Ho'oponopono is for you. Dr Joe Vitale got together with musician and practitioner Mathew Dixon, who studied under the expert tutorship of Hawaiian Dr. Ihaleakala Hew Len, to create this fully equipped, thorough and truly fascinating program. It is an online study course that you can gain a professional certification from as an end result. The modern form of this practice is adapted from an ancient Hawaiian problem-solving procedure. It is one that enables practitioners and subjects that work in conjunction with therapeutic or holistic wellness providers to be able to release and completely let go of, emotionally and mentally, debilitating conscious and subconscious memory. By utilizing a thorough mental cleaning process known as "zero limits" that was initially developed by master Dr. Ihaleakala Hew Len, a practitioner can move past their perceived reality of the moment to the point of complete nothingness, or "zero." While undergoing this enigmatic process, an expert practitioner becomes able to connect with and wholly experience an inspiring and euphoric awakening. In doing so, they connect with the divine entity that is often referred to as "Infinite Intelligence." This facilitates their receipt of spiritual inspiration while at the same time enabling the clearing away of any limiting beliefs they may harbor. The process makes good use of an easy-to-learn, four phrase mantra, that is then combined with a powerful modification in mindset. It is this enabling process that you can learn in Dr Vitale's practitioner certification course along with propagating the ability to purge the unnecessary data that can be cluttering up the memory. It will make it possible for a person to retake one hundred percent responsibility for everything in their lives, whether good, bad or indifferent. 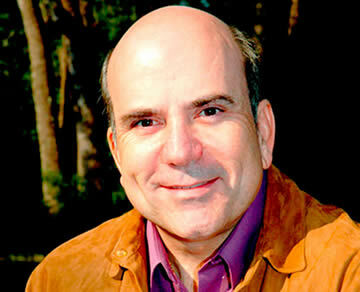 Dr. Joe Vitale, Author of the book: "Zero Limits"
Guided through a series of step-by-step lessons, you will be taught that modern Ho'oponopono has evolved this ancient Hawaiian healing practice an additional step further. It has done this by unlocking your innate ability to cleanse and heal yourself and, though the practice of this process, others. This is accomplished by a simply-performed cleaning away process of debilitating memories. The process dissipates the mind's cluttering data, allowing multi-dimensional light to appear in both the conscious and subconscious areas of the mind. During the course video material, Dr. Ihaleakala Hew Len and Dr. Joe Vitale show you how the latest Ho'oponopono healing process can truly be embraced via in-person and remote practice with patients. You will also be able to discover for yourself real-world evidence supporting the remote healing power and supreme properties of this incredible technique. The course is laid out in a logical series of eight step-by-step video training module lessons. These include six hours and forty minutes of video-based tutoring and a PDF format guidebook. The guidebook comprises easy-to-follow guided application lessons, plus a collection of many real life examples of using the process. You will learn how to use these in your own life as well as helping others to do so, providing you with an example-based layout showing you how it works so that you can learn to harness that power for yourself. You will learn how to eliminate all limiting beliefs from your conscious self and from others you elect to help. All these skills are taught in the course, making it possible to exercise them and help other after gaining your own certificate. 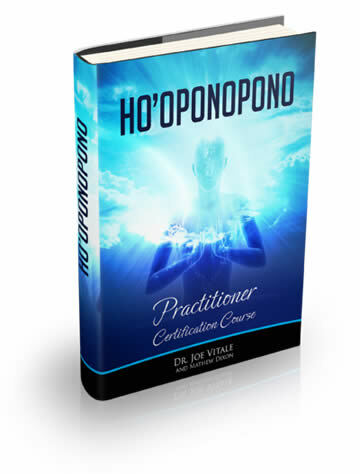 This will designates you as a fully qualified Ho'oponopono practitioner, an accolade you will obtain after completing and passing the certification examination set at the end of the course. Note: This practitioner tuition course can only be obtained via the official website of the Global Sciences Foundation. You can access this site by clicking the promotional image links placed above right on this page or a paragraph of two below. This course is not available elsewhere. This powerful process works by essentially eliminating all limiting beliefs, thus freeing you to move forward in your own life, being unhindered by shackles of past experiences. From that point you can take it to others to help them to do the same. From a position of mental clarity you can then discover new ideas and plans that can vastly improve all areas of your life. These are truly powerful, available resources that may have previously been concealed from you, due to a series of limiting beliefs and clusters of hindering, restrictive paradigms. Yet these enlightening and advantageous insights have always been available right inside of you, without you even knowing! You'll be pleasantly surprised and truly amazed at how rapidly and effectively it will be possible for you to move forward with your life and be in a position to attain all the many goals you always dreamed you could achieve created into your new reality. This course surely is for you as long as you are determined to enjoy a superior life with all of the many things you have wished you could have. However, the course is not meant for those who are merely in search of a quick fix for the troubles they have, without being willing to put in the time or effort in order to study, learn and advance through their own efforts. I have no doubt that the tire-kickers and window shoppers of this world should simply turn away right now and certainly NOT get this course. I say that because the program will not be of any great help to anyone who is only mildly curious to idly skim through it once, then never to take action upon the valuable teachings it contains. I can say with certainty that without the inner burning desire to make the effort to improve your life and the determination and drive to take action to learn and apply what you learned, you will gain little or even nothing from this course. However, that does not mean you can't get yourself out of your comfort zone, focus your mind, do what you never before believed you could and actually make radical changes in your life. That is, only if you really wanted to. Dr Vitale's course is available online now for all those that are eager to learn. You can click the link above to get more details. Are you feeling like you're stuck in life? Are you trying really hard to progress, but feel like you're going nowhere seemingly through no fault of your own? You should definitely take a look at this course and consider buying it and doing it. Often, when something seems to be holding us back but we can't figure out what it is, there can be a blockage in our psyche that needs to be cleansed and removed. By learning how to bring this about through ho'oponopono, you can clear your path and continue toward the goal you are aiming for. This is a process that really needs to be worked through at the deepest mental and emotional level. This can be achieved by getting the right kind of instruction from the get-go, which is something this course will provide you with. You should get and do this course because it is an amazing self development tool that you can use to free your mind from blockages and limitations. You will be able to use the knowledge you'll acquire to fulfil your dreams and ambitions. Additionally, you will, upon completion of the program, become a certified practitioner of Ho'oponopono with the lifetime backing and support of the Global Sciences Foundation. The Foundation is an acredited training body that is recognised the world over. With this certification, you can take what you have learned into the classroom and teach it to others. It's a great way to spread the message and help other people to improve their own lives in the process. Your options are not limited to taking classes either. You are free to format your teaching however you want, from taking one on one sessions right up to giving full lectures if you want to. Naturally, this could provide you with an additional income or even become your main source of income as you build your own tuition business from the ground up. The possibilities are many and exciting when you start planning your own future! The first thing that you will notice is that the course is set out in very easy to follow steps, as as is typical of this kind of Joe Vitale online course set up. The package that you will be downloading comprises eight separate instruction videos with an accompanying guidebook for you to read. The total duration of video instruction is six hours, forty minutes. There are eight chapters contained in the guidebook, each providing detailed background information. It carefully explains how to proceed through the course and how to complete it by taking the final certification examination. How long you spend on studying the course really depends on you taking it at your own pace. It is possible to complete the whole course in as little as one week if you really go at it. However, the authors recommend that you take your time. Go at an easier pace and spend that much longer going through the program. That way you will give yourself a better chance to fully absorb and understand all the information that in there. That way you will increase your own understanding of the course material fully before taking the examination. Having completed the purchase of the course, all of the training material can be downloaded from a special link provided for you. You are free to register any time after receipt of your downloaded material. Finally, you can get started as soon as you are ready to dive in! The author is an affiliate of Joe Vitale's Ho'oponopono coaching program featured here and receives commission from sales originating from direct links to the program placed on this page.